Olive Oil Mashed Potatoes, in Greek “patates poure”, (pronounced pa-TAH-tess pou-RHé) are delicious and much healthier than the ones packed with butter. There is nothing like homemade mashed potatoes, the ultimate comfort food. Preparing mashed potatoes is so simple to make and cannot be compared with the dehydrated stuff you get in supermarkets. 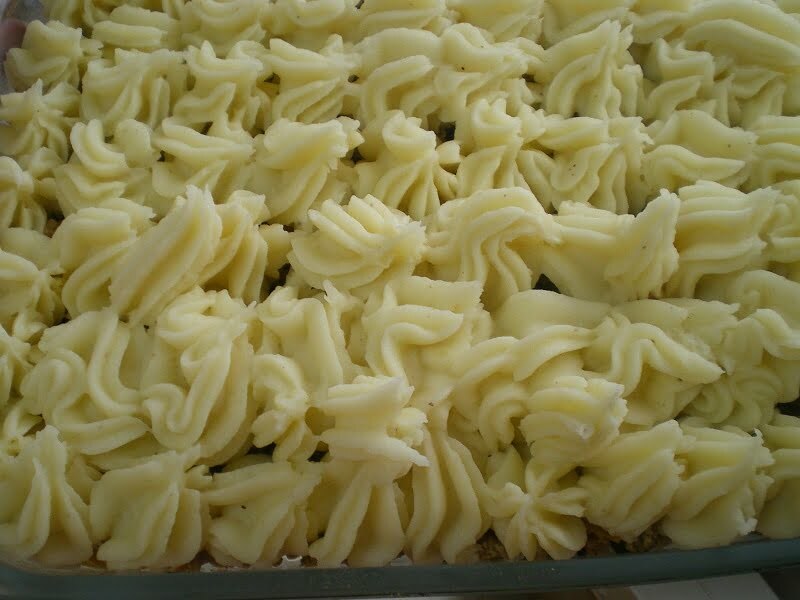 Mashed potatoes are made by pressing freshly boiled potatoes. Baking or starchy potatoes are recommended for mashed potatoes, as they are high in starch with a dry, mealy texture, which turn them light and fluffy when cooked. Other types of potatoes, like boiling potatoes, also called waxy potatoes, give equally good results, which a different texture. Using a hand mixer to mash them makes the procedure very easy by mixing them a few minutes. The more time you mash them the smoother they get. However, if you like some lumps in your potatoes just mash them with a fork or a potato masher, always while they are still hot. I love to make mashed potatoes and keep them as healthy as possible so I use olive oil, which gives them a fantastic fruity taste and flavour. Using a good quality olive oil is worth every cent, as you will not only notice the wonderful flavour of the olive oil but it is also much healthier. Olive oil is the base of the Mediterranean Diet and its properties are world renowned, making it more popular day by day. It is packed with antioxidants, vitamins and monosaturated fats, which offer protection again heart diseases. My children love mashed potatoes so I make a lot, so probably my recipe could feed more than five. I would say that a large potato per person would be a satisfactory portion. Olive Oil Mashed Potatoes, in Greek "patates poure", (pronounced pa-TAH-tess pou-RHé) are delicious and much healthier than the ones packed with butter. Peel, wash and half or quarter the potatoes depending on size. Place the potatoes in a large heavy pot and cover with cold water. Bring to a boil, reduce heat and simmer until soft when pierced with a fork (about 45 minutes). Drain the potatoes while they are still hot and return them to the pot. Add the olive oil as well as seasoning and mash the potatoes with a potato masher or any other way you like. Add the milk gradually until you get the right consistency.